The San Francisco-based bank says it has discovered “issues” involving customer refunds from optional guaranteed asset protection or so-called GAP coverage that’s sold to auto loan borrowers when they buy a vehicle. Separately, a new federal lawsuit has accused Wells Fargo&apos;s merchant services unit of misleading businesses about fees for credit card processing. Added to a collision insurance policy, GAP coverage can help pay the difference between the amount a borrower would owe on a car lease or loan, and the total the insurer would pay if the vehicle is stolen or declared a total loss after an accident. Borrowers typically are entitled to refunds for a portion of the GAP insurance premiums if they repay their auto loans early. However, In the bank’s second-quarter earnings report issued Friday, Wells Fargo said it had discovered issues involving GAP insurance that could result in paying overdue refunds to customers in some states. Two of the bank’s federal regulators, the Office of the Comptroller of the Currency and the Consumer Financial Protection Bureau, declined to comment on the refund issue. The separate lawsuit against Wells Fargo’s merchant services unit was filed Friday by a Patti’s Pitas, a Pennsylvania restaurant, and Queen City Tours, a tour operator based in Charlotte, N.C.
Wells Fargo uses a confusing, 63-page program guide that outlines fees charged for processing credit card payments, the lawsuit alleged. However, the bank unit improperly “implements mark-ups by inflating ‘pass through’ costs, increasing agreed-upon fees, and imposing new junk fees,” the lawsuit alleged. The lawsuit seeks class-action status on behalf of other companies that may have been overcharged. Wells Fargo has labored to make amends since the bank was hit with $185 million in penalties by federal and state officials for opening millions of accounts that may not have been authorized by customers. The scandal stemmed from internal sales goals that pushed bank employees to open multiple accounts, credit cards, and other financial products for customers. The bank has since ousted some top managers, paid $3.26 million in customer refunds and revamped its compensation program to remove the sales goals from decisions on employee pay raises. However, the bank’s latest quarterly earnings report disclosed that a continuing review of the embarrassing episode “may lead to a significant increase in the identified number of potentially unauthorized accounts” that tops earlier estimates. 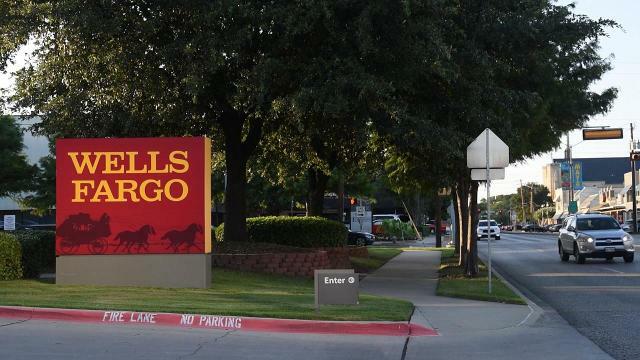 Wells Fargo also acknowledged in late July that it would issue $80 million in refunds or account adjustments to more than 570,000 auto loan customers who were charged for vehicle insurance without their knowledge. New York state’s banking and insurance regulator issued subpoenas for Wells Fargo records related to the forced insurance payments.